The Free State FX FSFX102 Granular Audio Processoris a 5U format version of the Mutable Instruments Clouds. Another gem from the Eurorack Modular world, FSFX102 is a 5U conversion of the Clouds Texture Synthesizer, providing the same functionality, I/O and secret handshake modes. Clouds has previously been regulated to the world of Eurorack, another module from Oliver Gillet that many modular users consider an absolute must have for their system. Ideal for crating textural soundscapes and tones, FSFX102 is the perfect module for building big pads and ethereal tones withing you modular system. In its 5U format it provides the same architecture, sound quality and functionality, but provide more space for bigger knobs and full size 1/4" jack connections. When paired with a couple of VCO's in stereo FSFX102 is capable of some truly special granular sounds, it has an internal reverb and feedback section, making big cavernous tones with tonnes of subtle detune nothing but a pleasure to patch. As with it's Eurorack sibling, the FSFX102 features full modulation of it's internal granular architecture, providing inputs for freeze, size, density, texture, position, volt per octave, blend and even features a gate input for triggering the grains. This module vastly expands the sonic vocabulary of any modular system, ideal for processing sounds internal or external to your system. Perfect for those who like to experiment with audio. 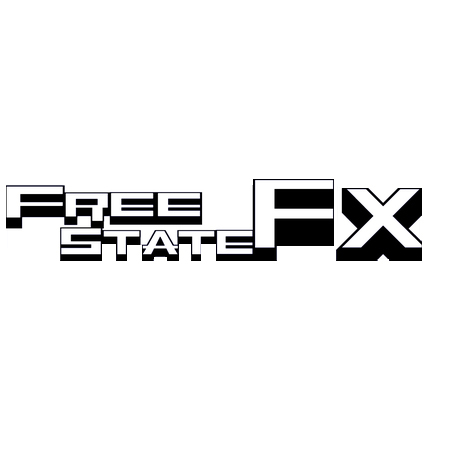 The Free State FX FSFX102 Granular Audio Processor is a 5U format version of the Mutable Instruments Clouds. Another gem from the Eurorack Modular world, FSFX102 is a 5U conversion of the Clouds Texture Synthesizer, providing the same functionality.